These bills lowers the bar for employees to bring claims of sexual harassment against employers. The U.S. Supreme Court first issued the “severe or pervasive” standard in 1986. Under that standard, to create the grounds for a hostile work environment claim, conduct must either be “severe” or “pervasive”. The conduct does not need to be both severe and pervasive. One or the other is enough. This standard is intended to allow valid claims to proceed without flooding the courts with claims. Staffing companies in particular would be more severely affected by this due to the unique nature of placing employees at client sites without any control over the client’s employees or customers. The legislation proposed in the Minnesota House and Senate would change that standard and undermine the entire body of case law that courts have developed under the “severe or pervasive” standard. For example, under the existing standard, conduct is unlawful only if it’s both subjectively and objectively inappropriate—that is, if the employee herself/himself and a reasonable person find the conduct inappropriate. Also, the judge must find the conduct inappropriate under the totality of the circumstances. If an employee experiences harassing conduct in the workplace, she/he has a variety of avenues to seek justice based on the following standard: “Harassment becomes unlawful where 1) enduring the offensive conduct becomes a condition of continued employment, or 2) the conduct is severe or pervasive enough to create a work environment that a reasonable person would consider intimidating, hostile, or abusive.” U.S. Equal Employment Opportunity Commission. 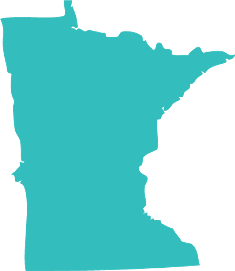 Minnesota’s employers are committed to providing respectful and professional workplaces. It is one of the many reasons why our employers are regularly recognized as providing some of the very best working environments in the nation. To lose these standards would open the floodgates to frivolous litigation, detract from the claims of actual harassment victims in need of support, and make Minnesota an employment law outlier.